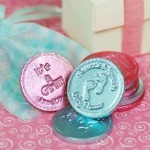 I am always looking for simple ways to make favors. 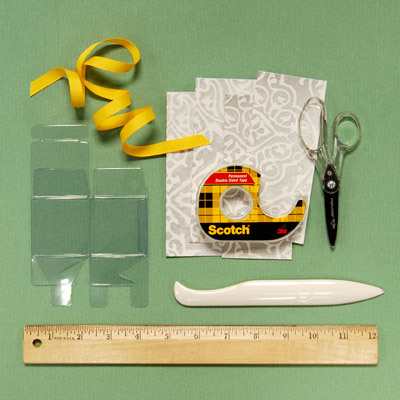 This favor is very simple to assemble, inexpensive yet elegant. 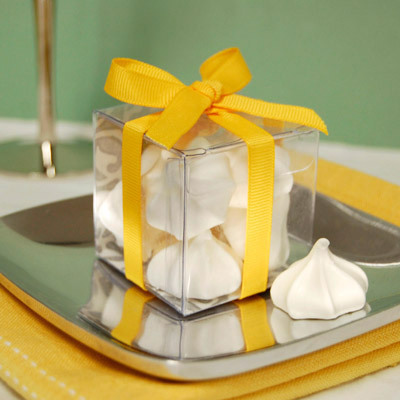 A perfect way to present any edible favor. Get the full tutorial step by step. Good Luck and Enjoy! 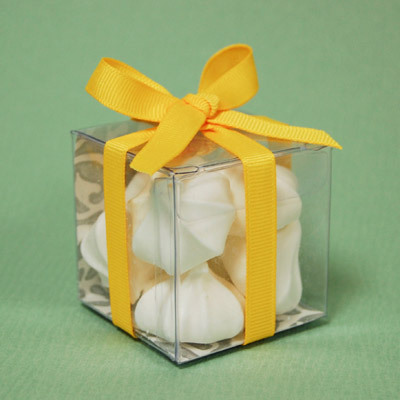 How to Dress Up Baby Shower Clear Favor Box in 2 Minute? 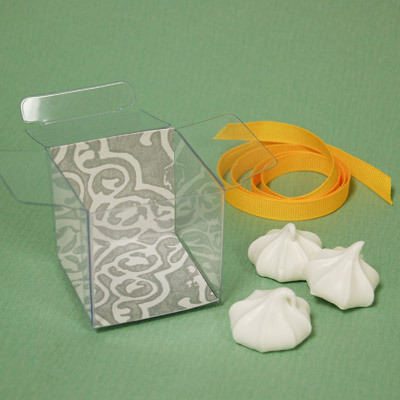 Step 1 Assemble favor boxes and cut patterned paper into 2" x 4". 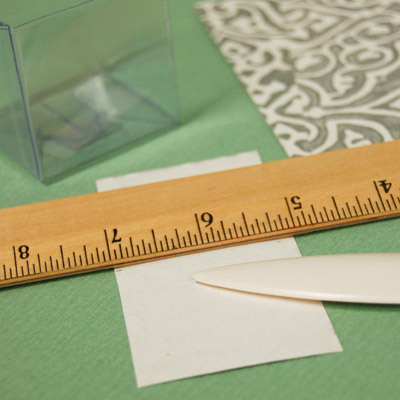 Step 2 Using the ruler and bonefolder, make a crease at the center of the paper at the 2" mark. Step 3 Fold the paper at the crease and use the double-sided tape to adhere it to the inside of the favor box (pattern face-up) then place favors inside. 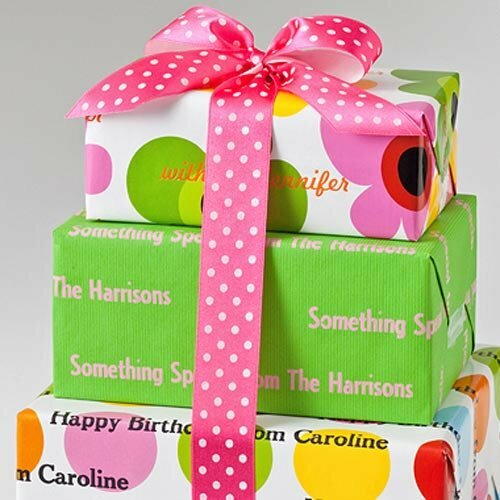 Step 4 Cut ribbon into 26" lengths, wrap the ribbon around the box and finish with a bow.